The table is drastically turned! The once composed and calm Xia Mo is now filled with unfathomable fear and anxiety. The famous super star who always flaunts his arrogant smile, now cries with tears of dejection and hopelessness. Young master Ou Chen, who was merely a bystander before, now steps forward to reclaim his throne. And under such terrible state, with Xiao Cheng badly needing a kidney transplant, Xia Mo swallows her pride and humbly kneels, begging… pleading for Ou Chen. Even with this, Ou Chen remains unmoved. Outraged, Xia Mo cannot think of anything else. She has nothing to bargain and he has nothing to lose…Unless… she dies. Xia Mo: Since I’m the one who owes this debt, I should be the one paying. Or. Will you only be satisfied if I die? Is that the condition you want? Ou Chen can’t think straight. Xia Mo can’t die! He’s even frightened with the slightest of possibilities. And now, here she is, boldly saying she’ll give up her life just to have that blasted kidney? Ou Chen: Are you threatening me?… Marry me. Marry me and I’ll give my kidney to Yin Cheng. Xia Mo walks away with Ou Chen’s proposal still bugging in her head. Will she take the offer? Is she that desperate? Her serious daydreaming is then cut short when she saw Luo Xi waiting for her. Acting cool and passive, Luo Xi asks why Xia Mo didn’t bother to contact him nor answers his calls. He tentatively probes if maybe, just maybe, she’s mad because of his scandal with Shen Qiang. Xia Mo smiles and assures she’s not minding the gossip at all. She knows it’s not true. But Luo Xi pushes her patience a little more and implies that the gossip may not be fake afterall. Xia Mo has no time for such drama, so she brushes the topic off. Luo Xi: Are you so confident that other than you, I won’t fall with another woman? Or to you I am someone who you don’t care about, so you’re so indifferent? Xia Mo: Is it wrong to trust you? Luo Xi mockingly smiles. Xia Mo explains that she’s just busy with some stuffs, and thus, wasn’t able to pay much attention to the scandal. Luo Xi continues to flare up, tipping-off that she’s just playing around with Ou Chen. And so Xia Mo spills that Xiao Cheng has been sick these past few days. Though worried for Xiao Cheng, Luo Xi still lingers on the fact that she talked with Ou Chen. Dude, give the girl a break! Her brother is dying! Xia Mo defends that she has some business with Ou Chen and swears that they have nothing to do with each other. Luo Xi reveals the pictures of Ou Chen and Xia Mo (the one she threw away during the awards night), and the issue on trusting-not-trusting is again brought into argument. Xia Mo reasons that she picked it up just to avoid media controversies. But insecure little Luo Xi misunderstood again! Luo Xi: Let’s break up! It’s always me that’s being abandoned. So, this time it’s my turn to take the initiative. Xia Mo: But I like you. Luo Xi: I don’t believe you. Yin Xia Mo, you think that I can’t live without you? Without even looking back, Luo Xi left, leaving a brokenhearted Xia Mo behind. He practically gives her away! Someone’s going to regret this someday! The news about Luo Xi and Xia Mo’s break-up spreads like a virus. The speculations on Luo Xi and Shen Qiang’s blooming relationship, and even rumours of marriage, have been circling around. The funny thing is, Luo Xi just sets the gossip off, never clarifying or denying anything. Xia Mo is neither deaf nor blind, so basically she knows what’s going on, but still Xiao Cheng comes first. There’s no time to deal with some self-centred jerk, and his bratty self-confessed girlfriend! Xia Mo is busy finding other ways of getting a suitable kidney, and somehow she has one person in mind. Who could it be?! Mystery waiting to be solved, ne? Fortunately, Xia Mo might get hold of that person in an upcoming party. Without second thoughts, Xia Mo grabs the chance despite Zhen En’s reminder that Luo Xi and Shen Qiang will surely attend. At the party. Xia Mo immediately looks for that important person. Pan Nan and Shu Er worries for Xia Mo’s presence in the party though. With the reporters around, the scandal surrounding Luo Xi, Shen Qiang and Xia Mo may blow out of proportions. But Xia Mo doesn’t care. Somebody, please just give her the freakin’kidney! And now, we witness another dramatic entrance from Ou Chen. Haha! This guy sure knows how to grab attention! It seems that the party is hosted by Ou Corporation. And of course, he’ll be there! An unexpected and unwanted intruder then visits the party and makes a scene. An Hui Ni,this girl never learns! Ever the scene-stealer, she attacks Xia Mo with spiteful words. But Xia Mo just smiles, unaffected and uncaring. She advises Hui Ni to stop the nonesense. Instead of bickering with Xia Mo, she must focus on redeeming her career. An Hui Ni walks off, but not forgetting to spatter some drinks on Xia Mo of course. Ah, the classic antagonist move. Now, this is the perfect time for Ou Chen to rescue Xia Mo, who doesn’t need rescuing if you’ll ask me. He drags her away and instructs his assistant to get a new dress for her. When they were alone, Ou Chen frankly questions her decision of leaving her brother at the hospital. Xia Mo defends that she’s just attending the party for Xiao Cheng. Ou Chen is quite confused. Obviously, she’s not there to see him, so who could possibly help her now? Xia Mo admits that she’s rejecting his proposal and she’s there to see Xiao Cheng’s biological father, Yin Xia Bo aka Xia Ge. Yes, Luo Xi’s manager. Small world! Now properly dressed for battle, Xia Mo re-enters the party in another dramatic entrance with Ou Chen. Haha! Ou Chen informs Xia Mo that the person she’s looking for is already there. He further offers to make the introductions. Xia Mo is confounded. Why is he helping her? He knows that when she could secure the kidney from Xia Ge, she will not agree on marrying him anymore. Ou Chen remains silent and extends his arm. Xia Mo then takes the generous offer. On the other side of the room, Luo Xi looks alarmed and clearly upset. Question: Didn’t Xia Mo and Xia Ge already met? Luo Xi already introduced them, right? After the necessary introductions, Xia Mo instantly requests for some time alone with Xia Ge. However, Shen Qiang keeps butting in and won’t allow for some private talk. Things are getting out of hand as Xia Mo desperately wants to have a conversation and She Qiang keeps on opposing. Thankfully, Luo Xi decides to drag Shen Qiang away. With Shen Qiang gone, Ou Chen opens the topic about Xia Ge’s health. It seems that Xia Ge is already suffering from minor kidney failure and thereby, can’t donate his kidney for Xiao Cheng. Learning about this, Xia Mo is both disappointed and frustrated. Back to square 1! Just then, Xia Mo receives a panic-stricken call from Zhen En. Xiao Cheng fainted! Without delay, Xia Mo leaves the party and Ou Chen chases her. Seeing Xia Mo’s reaction, Luo Xi knows something is not right and follows after. Luo Xi searches for Xia Mo, but she’s already gone. Pan Nan sees his downhearted mien. She can’t understand him at all. It’s a fact that he loves Xia Mo, but why does he purposely pushes her away with those rumours? Luo Xi then realizes his faults. But sad to say, it’s too late. 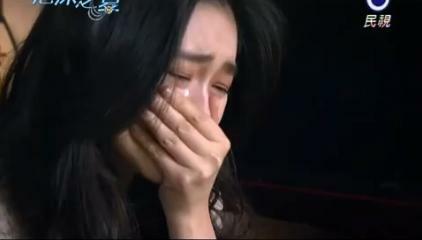 Meanwhile, Xia Mo cries nervously in Ou Chen’s car. Ou Chen feels for her, but can’t really figure out why she just can’t accept his proposal. Ou Chen: Didn’t you say before, for Yin Cheng you can give up your life. Is getting married to me even harder than death? But Xia Mo can’t hear anything. Her mind is completely filled with fear. At the hospital: Xia Mo is greeted by a terrified Zhen En. 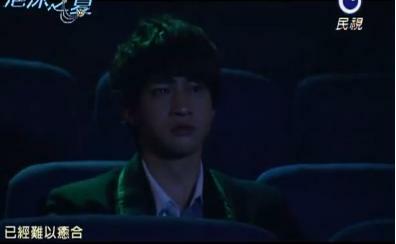 But Xia Mo is more horrified. Her brother just can’t die! Good thing, Zhen En is only overreacting. She’s much frightened that she called Xia Mo hysterically. The doctors say that Xia Cheng’s condition is stable for the time being. Though relieved, Xia Mo still greatly worries for Xiao Cheng. She knows this is not the end. Without the kidney, Xiao Cheng’s health will continue to deteriorate. She can’t risk it anymore. She held his hand, crying. All the while, Ou Chen looks at her distressed state. This would be the first time Zhen En sees Xia Mo with such nervousness. Xia Mo has always been composed. Something must be wrong! But no matter how Zhen En prods, Xia Mo assures that Xiao Cheng is fine. Somehow, Zhen En just can’t believe her. Something must be really, really wrong! Ou Chen can’t take it any longer. 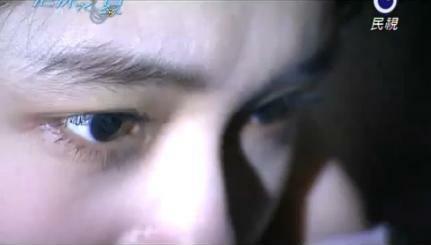 He can’t bear seeing Xia Mo looking lost and burdened. Ou Chen: I’m willing to give up the condition I suggested. Did you hear me? I’ve lost. I don’t want to be the devil that tortures you. I take back the condition I set. I’ll do what you want. Xia Mo: I promise you. As long as you’re willing to donate to Yin Cheng, then let’s get married. Luo Xi, who has been wandering around looking for Xia Mo, finally catches after her. But unfortunately, he overhears the conversation. On the other hand, Zhen En, who follows Xia Mo, is overly shocked. Now, this is the perfect time for Luo Xi to emote, ne? Brokenhearted and emotionally drained, Luo Xi goes back to his house. He reminisce the happy times. I hate to say this, but it’s your fault! Xi Meng is back, armed with new strategies to break Ou Chen from Xia Mo’s clutches. He introduces the idea of finding a suitable marriage partner for young master, of which the latter just laughsand takes it as a joke. Ou Chen already decided, he’ll definitely marry Xia Mo. But Xi Meng can’t just stand there and allow young master to suffer again. He’ll even prevent this tragedy to happen. Ou Chen: Tragedy? Do you know I want to end my life’s tragedy that’s why I’m marrying Xia Mo. I’ll never allow anyone to control my life anymore…including you. After, witnessing the terrible scene, Luo Xi lays sick for 2 days. When he woke up, Shen Qiang brags that she took care of him all these time. She frankly tells Luo Xi to give up on Xia Mo and shows the newspaper about Xia Mo’s marriage with Ou Chen. The news breaks that Xia Mo is just marrying Ou Chen for money. Xiao Cheng reads about the news and asks Zhen En of what is really going on. He knows that his sister will never marry for money. Masking the truth, Zhen En lies that Xia Mo wants to marry coz she loves Ou Chen. Afterall, he is her first love. But Xiao Cheng remains reluctant. Meanwhile, Ou Chen accompanies Xia Mo in buying books for Xiao Cheng. This scene is cute. He even volunteers to carry the basket for her. Aww..that’s something young masters don’t usually do nowadays. He’s just too sweet. 🙂 Somehow, Xia Mo accidentally reads about the negative news, and her expression didn’t escape Ou Chen’s watchful eyes. Back to Luo Xi. So, basically he got so riled up with the news and decides to wear himself out with projects. Xia Ge, however, isn’t convinced about this and advises Luo Xi to talk things over with Xia Mo. Luo Xi won’t waver and stubbornly replies that he learns about the news directly from Xia Mo. Xia Ge contends that maybe all of these are just misunderstandings. Maybe, Xia Mo wants him to be jealous, just like the scandal with Shen Qiang. But still, Luo Xi won’t yield. And Xia Ge ends up telling what really happened in the past. He once met and fell in love with a special woman before. Her family was rich and is against their relationship. One day, she saw him talking with a bar hostess and misunderstood. She just walks away. It was clear that her family orchestrated everything, but he was also angry so he never explained. He was confident she’ll never leave him. But from then on, he never heard of her again. He doesn’t want Luo Xi to suffer from the same mistake, so Luo Xi must definitely patch things up. I have a feeling, Xia Ge is talking about Ou Chen’s mom. Ahhh… so that’s why Xia Ge, Ou Chen and Xiao Cheng have the same blood type! So Ou Chen is really Xiao Cheng’s brother?! This is getting more complicated. Anyways, for sure Ou Chen and Xia Mo aren’t siblings. At the car, Ou Chen guarantees to take care of the rumour. Xia Mo assures it’s okay. She already anticipated it. She’s just surprised that the news came too early and apologizes for demanding too much from Ou Chen. He’s not a relative, but still she forces him to donate his kidney. Ou Chen is silent for a while. Is she warming up to him? He then suggests to postpone the wedding date. Maybe, after Xiao Cheng’s operation or after she truly accepts him. Xia Mo kindly refutes. She already agreed, and besides the wedding preparations have been set. 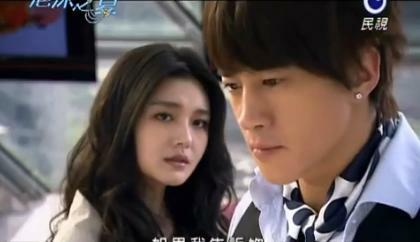 Watching Xia Mo walk towards the hospital, Ou Chen mulls over things. Could it be true? Is this real? Is she really going to marry him? Xia Mo greets Xiao Cheng with her usual smile. But she senses something odd. Zhen En just stands there, looking nervous and disturbed. As she turns to see, Luo Xi is there sitting comfortably. It seems that this reunion is inevitable. Luo Xi says sorry for not visiting earlier and says he’ll definitely come by often for Xiao Cheng. However, Xia Mo firmly declines. Luo Xi is furious. Is she afraid that he’ll bump with Ou Chen? Without another word, he walks away. But he can’t just throw this opportunity away. He stops midway and again apologizes. He casually relays that he met with producer of Super Star earlier. He tries to remind Xia Mo of the happy times and sings the song they sang together. I still don’t know the title for that song! Xia Mo smiles at the thought. Luo Xi turns serious and sadly wonders why after all the things he’s been through, even now, he’s always the one being given up. Xia Mo gently replies that he was the one who wanted to break up. Luo Xi smiles and answers that it was only a lovers quarrel. He only said that out of anger. She shouldn’t have taken it seriously. He knows he’s at fault and just to end it all, he clarifies that the scandal isn’t true. Xia Mo: Say that I believe those photos with her were fake but you hurt yourself. Maybe we really shouldn’t be together. You need someone who will love you with all her heart. Who will cherish you. Who will be jealous when you come home late. Who will worry and get angry. Luo Xi: You won’t do it? Xia Mo: I can’t do it. I won’t be jealous. If I believe you, I would make sure those photos were fake. If I didn’t, I would leave you. And in my life, there are too many other things that are more important than love. You aren’t my main focus. Luo Xi: Then what is your focus? Is Xiao Cheng the most important to you? Luo Xi: What else is there? Your work? Your friends, Zhen En? Pan Nan, Even Yao Shu Er? Wei Ann? They are more important than me, right? It’s alright. I can accept it all. I know that what I said before hurt you. I apologize. Xia Mo can’t you not be angry at me anymore? Can you not say the words “let’s break up” in anger? You’ll forgive me, right? Meanwhile, Ou Chen decides to push the wedding date. He then goes back to the hospital after buying the book that Xia Mo wasn’t able to buy for Xiao Cheng. Luo Xi: Xia Mo could you forgive me? It was my fault. I liked you too much. I cared for you too much. I really didn’t want to lose you that’s why I said those words the other day. But it’s the first time I made a mistake and still have a chance, right? 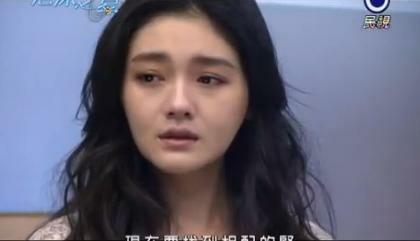 Xia Mo: I’m sorry. Even if you didn’t want to break up, I would have brought it up too. Hearing those words, Luo Xi snaps. His anger doubles in intensity. She can’t break up with him! Ou Chen must have threatened him or she’s just mad because of the scandal. He can’t believe her. They won’t break up. But Xia Mo already made up her mind. Luo Xi: You know how much pain is in my heart. This cruel woman, what you said right now ,they are all lies right? My Xia Mo, you acted very well. *Then forces a kiss*. Ou Chen sees the scene. Without any hints of emotion, he just looks at them. Ou Chen walks steadily towards Xia Mo. He stares intently on her face, and she can only look away. Ou Chen then wipes her lips, as if its been dirtied. He casually informs that their marriage has already been booked and they’ll have it at the end of the month. Luo Xi just fell silent on the side. 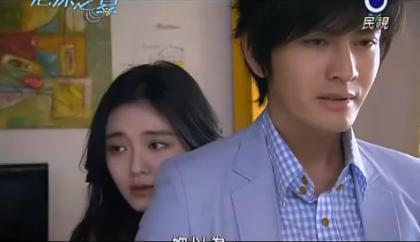 Ou Chen then puts his arm around Xia Mo’s shoulder, pulling her away from Luo Xi. With the premier lurking just around the corner, my anticipation for this kdrama already reaches its utmost heights! Yosh! I’ve been waiting since May! Finally! I have the highest of hopes for this kdrama. Well, after the phenominal You’re Beautiful from the awesome Hong sisters, who wouldn’t thirst for another quirky, refreshing and trendy drama from those two, right? Am sure it’ll be a perfect mixture of some out-of-this-world humour and dynamic romance. These sisters always blows me away with their crazy ideas and outstandingly upbeat plot. With these said, I know that My Girlfriend is a Gumiho is a guaranteed success. I’m not really a fan of Lee Seung Ki, but I can say that he definitely made a good impression in Brilliant Legacy. As for Shin Min Ah, I totally love the girl! I’m really excited on how she’ll transform as the scary gumiho. Still adorable, I guess. 🙂 Oh, well they might just be the perfect pair in the perfect fantasy drama. Cha Dae Woong (Lee) is a man who meets a girl (Shin) and falls in love with her. The girl is actually a gumiho, a legendary fox with nine tails that eats the livers of humans. When he finds out that she is a gumiho, he ends up doing crazy things to prevent the girl from eating his liver. By just reading the synopsis, I’m already expecting many wonderful things from this kdrama. With all the buzz and positive reviews about “Hammer Session”, I was curious to watch and see for myself if the hypes are true. Namoshiro Tanahashi’s manga series “Hammer Session!” is being turned into a live-action drama, starring Mocomichi Hayami (25) and Mirai Shida (17). TBS will air the series next season. The popular comic was originally serialized from 2006 to 2009. 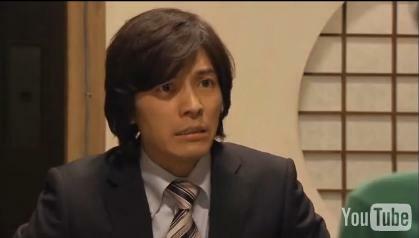 In the drama version, Hayami plays a genius swindler who escapes from a prison transport vehicle and assumes a new identity as a high school teacher. He conducts his classes in an extreme style known as “hammer session,” forcing his students to become stronger. Shida plays one of the students. Although she was celebrating her birthday at the show’s press event on Monday, her fellow cast members surprised her by throwing her into the swimming pool. The rest of the cast includes Jingi Irie (17), Manami Higa (23), Kaoru Sugita (45), Naomasa Musaka (56), and Fumiyo Kohinata (56). The series will premiere this July in TBS’s Saturday 7:56pm time slot. For starters, this drama almost has the same plot as Gokusen. Well, that’s as far as reforming delinquent students is concerned. If you’ll ask me if it’s a good thing, I’ll definitely answer a booming YES! As I’ve said over and over again, I love Gokusen. Ow, least I forget, Hayami was also in the Gokusen series! Ahh, the good old days. Yankumi will always be my favorite jdrama sensei, but I can’t deny that Otawa No. 4’s character has it’s own special appeal. Well, he’s got this admirable wits. And I can’t believe I’ll be saying this, but he takes swindling into the next level. I mean, it’s not everyday that a teacher uses some swindler’s tricks to teach his students, right? No doubt, I liked the concept. One more reason for me to watch this jdrama is the casting. I’ve always had high expectations for Mirai Shida-san. I’ve seen her do lots of stuffs, from a 14 year old mother to Shokojo Seira. By that, I know she’s good. And she already paired-up with almost all cute bishies! Muira Haruma, Yamada Ryosuke, Kanata Hongo, Hayashi Kento. This girl is quite lucky! As for Mochomichi Hayami, well, he’s definitely not just your typical eye-candy. He already improved a lot! Hope he’ll get many more projects in the future. This episode pretty much establish the common grounds, as well as, the major differences between Ou Chen and Luo Xi. Now, we discover that both men suffers from abandonment issues and are equally obsessed, manipulative and madly in love with the ultimate heartbreaker, Xiao Mo. The difference lies on how they deal with their insecurities and obsessive behaviour. While Luo Xi is overly dramatic about his abandonment problem, Ou Chen on the other hand, tries his best to keep it inside. I mean he was a lonely child too, but did he whine like a girl? Well, they are both control freaks, but at least Ou Chen can give Xia Mo what she needs. After hearing Ou Chen’s malicious “hints”, Luo Xi is clearly upset (more like threatened). Again, with the insecurities! His foul mood is very obvious that even Xiao Cheng notices the hostility. Xia Mo decides to decipher the bad humour, teasing him that if he’s not in good mood and doesn’t want to talk about it, he should at least be discreet in showing his feelings. And so, Luo Xi bitterly conveys the reason behind his sudden fit of temper. He angrily scoffs that Ou Chen told him that Xia Mo made a deal so he can return to “Battle Flags”. He desperately wants to know what the deal is, but Xia Mo is quick to deny any of those crap. Just to make it clear, she didn’t agree to anything, but not entirely denying that she talked with Ou Chen though. However, Luo Xi appears too reluctant to believe her. Not bothering to defend her self, Xia Mo tries to walk away but Luo Xi grabs her hand, trapping her in a hug. Luo Xi: I believe you. Xia Mo: Luo Xi, in the entertainment industry, it’s hard to tell what’s real. We don’t need our eyes or ears, but mutual trust. If you couldn’t do it, it’ll only be a matter of time before we break up. And the next day, everybody is shocked that Luo Xi backed out in the “Battle Flags” project. So much for being discreet! When Xia Mo learns about it, she settles on supporting Luo Xi anyway. Ou Chen, on the other hand, is mad. Undoubtedly, Luo Xi’s decision leads to some financial distress for Ou Corporation. And even if they’ll sue him for breach of contract, he’ll have the means to bail himself out. In short, they couldn’t pin the man down, even if he drops the project. Xia Ge, is of course, displeased with Luo Xi’s impulsive and unprofessional deed. Luo Xi reasons that though he’s quite sorry for Xia Ge, he can’t possibly retract his decisions and promises to take full responsibility. And as the ever loyal boss, this sounds ironic, Xia Ge agrees to help Luo Xi all through out. He even has a counterattack laid down for Ou Corporation. And the two most powerful showbiz groups collide. Xia Ge and Luo Xi bets on the movie “The World’s Big Event” as oppose to Xi Meng and Ou Chen’s “Golden Dance”. Needless to say, the noticeable showbiz power struggle catches everyone’s attention. Imagine two major icons, vying for supremacy and popularity. It’s gotta be interesting, right? And raising the bar higher are the female leads. Shen Qiang for “The World’s Big Event” (you know her right?) and Xia Mo for “Golden Dance”. Zhen En is quite in panic mode when she hears about the news. But good old Xia Mo, remains calm. Of course we know that she’s been keeping all her emotions under wraps, ne? There’s a lot going on inside that cool and detached appearance. However, when Xia Mo heard about the rumour of her and Luo Xi’s alleged break-up, she gets totally worked up. Actually, I find the gossips too harsh even for ice queen, Xia Mo. I mean publicly announcing that she’s a plain gold digger isn’t right! Xia Mo tries to explain but Luo Xi is too damn idiotic to listen. He doesn’t answer her calls and doesn’t bother to open the door for her when she went personally to his home. When he finally gave in, Xia Mo already left. That’s what you get from acting hard-to-get! Luo Xi: You’ve always been like this. You come when you want t. Leave when you want. All the while, Xiao Cheng worries for her sister. Zhen En advises that he stop watching the news cause it’ll make him more depressed. She then realizes that he’s sick. Xiao Cheng, however, convinces her not to say anything about his health. And she readily agrees. Zhen En is becoming more and more stupid, don’t ya think? For some Ou Chen scenes: He’s been thinking about what driver Jiang said. Xi Meng joins his solitary reminiscing and informs him that his “fake” parents wanted him to go back to France. He brushes the topic off and commands Xi Meng to come with him to a place. Next, we see young master and Xi Meng looking at the “Blue Bubble”. He recalls the time when he intentionally asked for the yacht as a birthday present just to get his parent’s attention. And to his disappointment, his parents actually bought the yacht without even worrying for his safety. Good thing though that Xia Mo liked the gift. I just have to include these screenshots. The kids are too adorable to be left out. Kyaah! Young Xia Mo is quite happy and excited riding in a yacht. She even cheerfully mutters that Xiao Cheng should have been there to see the nice view. However, Ou Chen looks sternly at her, as if angry that she even mentions Xiao Cheng. But young Xia Mo already knows how to handle arrogant young Ou Chen and pouts, prodding if he’s jealous at Xiao Cheng. Of course, young Ou Chen denies it. And so she continues to show her displeasure and ask that he avoid looking too formidable and strict all the time. He diverts the topic and ask what does young Xia Mo receives as birthday gifts. She then gladly answers that every year her Mom bakes her a cake and later on the family goes to the cinema together. And so, Young Ou Chen offers to lend one of their family owned cinemas if she wants to watch a movie. Young Xia Mo is quite baffled. She defends that the celebration is not about the cinema or the movie, but about the family loving each other and spending the time together. Back to the present, Ou Chen casually remarks that since he remembers everything now, Xi Meng must be relieved that he won’t purposely hide anything from him anymore. However, Xi Meng seriously wishes that Ou Chen won’t linger on the past since he has a bright future ahead of him. Ou Chen then apathetically declares that he won’t be going back to France nor attend the annual meeting and orders Xi Meng to attend in his behalf. Xi Meng then volunteers to stay with him. But Ou Chen strongly disagree. It’s about time he gets rid of the butler. And then Ou Chen left! With the exemption of Xia Mo, Zhen En and Wei Ann, the rest of SUN Agency gathers for Ou Chen’s surprise birthday celebration. Cai Ni figures that every year Ou Chen rents a cinema all by himself and watch alone, so she plans to assemble the staff and artists to accompany young master. Hahah! Next are funny moments. When the group happily sings the birthday song, Ou Chen just shoots them with his death glare. It was awkward and embarrassing at the same time. Hahah! Meanwhile, Luo Xi is still acting down and grumpy. Duh! Shen Qiang sees him and tries to engage him in a friendly conversation. I don’t really like the girl so I won’t be too detailed when she’s on the scene. In the end, Luo Xi informs her that he already wrote a song for her. Guess what? Yeah, the song he’s been singing in high school, the one with black cat and milk. Unexpectedly, Xia Mo visits the set. The media people swoon over her, asking her about the alleged break-up. Luo Xi then come to the rescue and kisses her forehead, a supposed evidence that they’re still together. Shen Qiang can only stare at them with disbelief and jealousy. Next, the lovebirds are alone. Xia Mo casually chats about the fruits she brought and some sushi she made. All the while, Luo Xi acts cold and nonchalance. I don’t really understand Luo Xi at all! He already said that she trust her, but now?! Argg! Luo Xi: Xia Mo. Do you know that I fear that one day you’ll be especially nice to me. Once there was a person, who gave me a big and sweet popsicle, but after I ate it she disappeared. It seems that every time when happiness reaches its peak, the nightmares will start again. Translation: Don’t be nice to me! Xia Mo hugs him and promises that he won’t leave him. Still, Luo Xi is hard-hearted and says that he doesn’t trust her anymore. Xia Mo insists that the reports aren’t true and she didn’t lie. Luo Xi, however, coldly counters that though she didn’t lie, she chose to mislead him. She didn’t agree to any deals but still, she went to see Ou Chen. Xia Mo reasons that’s its unavoidable coz she work for the man. The issue stands that she broke her promise on not meeting Ou Chen. She even accepted the “Golden Dance” offer in a blink of an eye. He even suspects that she met with Ou Chen for her own selfish reasons and not because of him. He spits that in her heart, there is no love, just the drive to succeed. 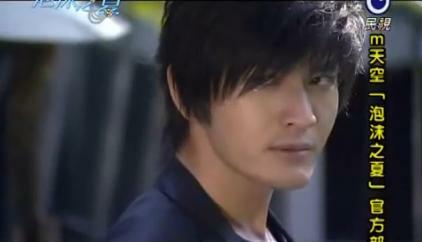 Xia Mo doesn’t want to hear those hurtful words and walks away. After the movie, Shu Er gives Ou Chen a bouquet of flowers, but once again he dismisses her with the death glare. And so, the rest of the staff went out and leave the young master on his own. Luo Xi is still not getting over his trust-not-to-trust issues. So when Xia Ge invites him for some merriment, he agrees to go along. Then we spot Xia Mo going home, still worried about her conversation with Luo Xi. Just then, she finds Xiao Cheng lying on the floor. Argg..so many scene editing. Back to Luo Xi: He Constantly thinks of Xia Mo. He even imagines her singing on stage. Shen Qiang then sneakily gets into the picture. I just hate that kind of flirt. So unladylike! She tries hard to get his attention but she earns nothing but cold treatment. Luo Xi offers to take her home but she refuses and stops him midway. She begs and angrily sprouts at the same time. She demands that Luo Xi notice her and break-up with Xia Mo. But Luo Xi just confidently insists that they won’t ever break-up. Shen Qiang is quite appalled that Luo Xi would choose Xia Mo when in fact she knew and loved him first. Okay, another An Hui Ni moment. Luo Xi calmly and arrogantly retorts that the time of knowing each other doesn’t entirely affect the depth of relationship. Now enraged, Shen Qiang spits: “The feelings Yin Xia Mo has for you, can’t even compare to one tenth of what I feel”. Luo Xi is now annoyed with her revelations. I think because it has some truth into it. She then proves her overflowing feelings and forces a kiss. Girls in this drama sure are violent. It wasn’t long ago when An Hui Ni nearly raped Ling Hao. And now… Shen Qiang? Girl, just so you know, this method has zero-success rate. And then Luo Xi is gone from annoyed to furious. He’s quite alarmed that the media people would make a feast out of it. And that means, he’ll be having lots of trouble with Xia Mo yet again. But Shen Qiang is still not finished. She screams and yells. Damn! She’s sure getting all the attention now. Shen Qiang: For you, I can give up my fame. Can she do that? every time it is you, who saves her. What has she ever done for you? She’s only using you for your status in the entertainment industry so she can get famous! Luo Xi can only walk away from her immodesty. Meanwhile, at the hospital, Xia Mo is burdened with another crisis. This time, it’s serious! Not about Luo Xi’s self-centered dilemma. Xiao Cheng is going deaf (as it shows, it’s because of Xia Mo’s slap). And to make matters worse, his kidney is fastly deteriorating. Without a kidney donor, it’ll be impossible for him to live for more than 3 months. Since, Xiao Cheng’s blood type is quite special, finding an appropriate kidney proves to be difficult. Xia Mo is caught in a dead-end. This will be the very first time she showed deep concern and fear. I think. When she went to see Xiao Cheng, she acts as if nothing terrible has happened. Xiao Cheng assures her that his illness is not that serious and there’s no need to panic coz he’ll definitely regain good health quickly. He even jokes that he can still live healthily until he’s 80. Xia Mo smiles and says that she’ll only stop worrying if he rest and sleep. Xiao Cheng then insist that there’s no need for her to take care of him coz he can be by himself. But Xia Mo is also persistent to be by his side and has already decided to cancel 3 days of work. Zhen En then pays a visit to Xiao Cheng. And forever the bearer of bad news, she accidently drops the newspaper with Luo Xi and Shen Qiang’s scandal. Xiao Cheng and Xia Mo caught a glimpse at it. Xia Mo acts as if not bothered, but Xiao Cheng is clearly curious about the news. He worries for her sister and Luo Xi’s relationship but Xia Mo just shoves the topic off. It seems that Xia Mo is also resolved in declining the “Golden Dance”. Zhen En is quite stunned that Xia Mo would want to throw away a very important project and probes if her abrupt decision concerns Luo Xi. Xia Mo immediately refutes and says that she just wants to take care of Xiao Cheng. And since Xia Mo has already expresses her refusal, Zhen En can only concede and support her. When Zhen En ask about Xia Mo’s opinion on the rumored relationship between Luo Xi and Shen Qiang, Xia Mo casually answers that the press just have to ask the parties themselves. There are some filler scenes here. Just about Luo Xi’s insecurities and Shen Qiang’s flirting galore. No need to be too hyped up with it. Some bro-sis moments: Xiao Cheng says sorry for not telling her of his condition. He knows she’s angry at him and is quite remorseful for that. Apparently, she’s hurt that Xiao Cheng hid something as crucial as his illness. She fears that he won’t pull this situation through, and when it happens she has nothing to blame but herself for not taking his health seriously. Xiao Cheng reasons that he has been a burden to her since he was young, and he reckons that by not telling her, she wouldn’t be too burdened anymore. He even wishes that Xia mo can smile happily like Zhen En. Xia Mo gently scolds him, saying that she’s already happy when he’s with her and she can’t possibly be angry at him. If there’s someone to be angry at, it’s her. She made his condition worse by entering the entertainment circle and she’s the reason why he’s going deaf. Xiao Cheng consoles that it doesn’t matter coz he already memorized her voice in his mind. Awww. He promises to get better and have an exhibition of Xia Mo’s portraits in the future. Xiao Cheng then reminds Xia Mo to call Luo Xi. As she’s about to press the call button, the nurse arrives for Xiao Cheng’s hearing aids. On the other end of the line, Luo Xi decides to call her himself, which of course is not answered coz she already took off with Xiao Cheng. And then the good news and the bad news arrive. The good news: They already find a suitable donor for Xiao Cheng. The bad news (well, not so bad! ): It’s Ou Chen. Without any other options, she gathers up her courage and went to meet Ou Chen. Xia Mo: I beg you as long as you’re willing to donate one of your kidneys to Xiao Cheng, I’ll agree to whatever conditions. Ou Chen: No matter what conditions? What do you think you still have, that’s worth it for me to exchange one of my kidneys for? Could it be that you think that after being betrayed by you like this, I would still like you? And would give up my health for you? Yin Xia Mo. You think highly of yourself. Xia Mo: Please tell me what your conditions are. No matter how much money you want or whatever you want me to sign, even if it’s taking on “Golden Dance”, I’m fine with it all. Ou Chen: Indeed, in your heart, Yin Cheng is always the most important. For Yin Cheng’s sake, even if it’s competing with Luo Xi’s new film you wouldn’t mind, right? Xia Mo counters that Luo Xi wouldn’t mind if she do those things. And so, Ou Chen pushes her a little further and dares to set conditions that Luo Xi would mind, like kissing her perhaps? And yes, he did try to kiss her, which she avoided. And since she can’t even consent to a simple kiss, Ou Chen drives her away. So Xia Mo decides to give in and kiss him. Just when she’s about to, her phone rings. Haha! Talking about wrong timings. Xia Mo disregards the phone call, and there’s a momentary awkward moment. Xia Mo: Even if I really kiss you, you still won’t agree to donate a kidney to Xiao Cheng right? Xia Mo: Then what should be done so that you will agree? Ou Chen: If I tell you, no matter what you do, I still wouldn’t would you believe it? Xia Mo infers that he has been waiting for her to come. He knows that he’s a suitable kidney donor for Xiao Cheng. And knowing that, obviously he needs something. Ou Chen affirms that he already knew she’s coming, but even so she can’t agree to he wants. I think being with him will be a more decent way of saying it. They were talking about mature stuffs in this scene. Well, he just confidently thought that she wouldn’t agree too easily, that’s why he was shocked when she goes along with it. Ou Chen: Such a noble sister, but you guessed it wrong. I’ve waited for you to come, just to tell you that no matter what you do, I will not give my kidney to Xiao Cheng. I waited for you to come, just so you could hear me say this. Are you a looking for a serious tear-jerker this summer? Then watch Mioka. Haha! My introductory paragraph sure sounds like a product endorsement, ne? But seriously guys, have you heard of Mioka? I came across with this drama today and decided to give it a try. I love romantic-comedies and it’ll forever be on top of my preference list, but then I thought: what’s the harm in crying your heart out in a tragic romance, right? Haha! To be honest, I seldom watch heavy melodramas. Not that I don’t want to, but the genre seems to pose danger to my health. Haha! Though it may sound lame, but it’s true. Take for instance the time when I watched 1 Litre of Tears, I cried hysterically for two full hours and it triggered my asthma. And then when I watched Koizora, I suffered from severe hyperventilation. Now, you get the picture? Looking back, those were funny moments. You see, I get too engrossed with the storyline that, most of the time, I become too emotionally attached. If you’ll ask me, it’s totally fine but my mom got traumatized afterwards and banned me from heartrending stuffs. But it didn’t stop me though. Once in a while, I find time to sneakily watch. Shhh! One day, Taichi (Kento Hayashi), an ordinary university student meets Mioka (Yuriko Yoshitaka), a girl who is like a storm. Taichi finds himself drawn to Mioka, who lives freely as she wishes without holding back, and they eventually fall in love. However, Mioka tells Taichi of a shocking truth. She has an incurable brain disease, with no medicine or treatment that can help her. With the progressing disease, the loss of control over her own body, the precious memories slowly fading away, the fear of losing herself, the limited time she has left… Even with such a cruel fate, Mioka lives her life to the fullest extent till the end. Taichi, wholeheartedly loving her, and decides to become the witness of her very existence in this world. To be honest, the plot reminds me of too many jdramas already. Just by reading, I somehow feel that it’ll be a super sad ending. For sure, even if I cry buckets of tears, the lead will die. And to some extent, that’s not my idea of entertainment. It gets depressing everytime, really! I’ve been trying to watch the first episode, but sadly the only subbed video I put my hands on is extremely choppy. Or my pc’s internet connection runs too slow. Either way, I haven’t finished watching the whole thing. All in all, I find the storyline a cliché. I even feel that some dialogues were already used in other dramas. Sorry. But still, I have high hopes. If they add some spices to this over explored genre, then this jdrama will be worth the watch. But if not…. then it’ll truly be a tragedy. If you’ll ask me if I’ll keep track? There’s an 80% chance. Why??? I’m totally cheering for Kento. Yepee. Hope they pull this through! Ahh! I’ve been sluggish. Gomen nasai. I know I’ve promised before that I’ll be having a recap for Hotaru no Hikari Season 2, but sad to say, Summer’s Desire is eating all my time. So, just to give this jdrama enough credits and love, I’ve decided to compile the highlights and funny parts. Given the fact that Season 1 already set the bar high for the drama, I can definitely say that I’m still hanging in a balance. I still find Hotaru no Hikari refreshingly funny and relaxing. And it gets funnier as Seno-san adds his quirky character, and not to mention, his incredibly skimpy pants. There’s also a mystery to be solved… Does Buchou already has a daughter? Hmmm… I don’t know really. For sure, the mystery woman is definitely not Buchou’s wife in the first season. Who could she be? Will Seno-san fall for our Hotaru? Will Hotaru finally graduate from being the ultimate himono onna? Can Buchou transform Hotaru? What will happen to our adorable couple? Guess, we just have to wait and find out ourselves. Amemiya Hotaru is back after three years working abroad. You think she changed? Nope! She’s still the same naive and innocent himono onna (dried up woman) who loves to roll over the floor and drink canned beer. However, I think she’s the only one who didn’t change. There were new office mates: the overly laid-back temporary worker Seno-san, the uncaring Sakuragi-san and others. Even Buchou seems to have moved on. And as for the shocking news ever: Yamada-neesan married Futatsugi-san. Heh? First day at work: Hotaru meets Seno, who seems to associate her with a dokyunko (seal). Seno-san plays a prank over Hotaru and says that dokyunko is a famous band. Poor little Hotaru, however, has no idea what a dokyunko is and gamely sings the dyokyunko song. Buchou caught the wacky duo in action. At the office, Buchou and Hotaru acts af if they’re not on lovey-dovey mode. But at home…they sure are! Buchou: Three years ago… You left Japan for a renovation project in Hong Kong. When I was in Narita Airport you were in tears in front of me. You were sobbing hysterically and were suspected to be an illegal immigrant. And you almost face deportation. Do you remember? Buchou: You were crying but you were forcing yourself to smile. On that day, you remember what you said? Hotaru: I’m not an illegal immigrant!!! Buchou: I wasn’t talking about those! And the couple cheers on Viva Long Distance Love! Buchou and Hotaru: From today onwards, we will be separated into Tokyo and Hong Kong. But we won’t lose and we won’t cry, won’t forget each other. Viva Long Distance Love! And the comic banter turns serious as Buchou expresses his sentiments about Hotaru’s insensible stance to their relationship. He then frankly admits that after 3 years, he already changed and so must Hotaru. His statement made Hotaru ponder on things. And cutting their heart-to-heart talk is a mysterious call. Buchou’s reaction after hearing what’s troubling Hotaru. Hotaru: My savings account… something about it…. Buchou: Let me see that…You have 47 yen. Hotaru: What does it mean? Buchou: How do you figure? You’ve been in charge of a HongKong project team for three years and what you have is 47 yen balance? How is that possible?! Then phone call. Buchuo is set to go out for the night yet again. Hotaru: You’re leaving me and my 47 yen? Buchou: Even if we talk about our future, we can do nothing with just 47 yen. Hotaru: Can we do something, if I had 470 billion yen? Buchou: When you have 470 billion yen, we’ll talk about what to do then. When Buchou went out, Hotaru had a night out on her own: Bonding time with Sakuragi-san and Seno-san. However, Sakuragi-san left early and so Seno-san endures the sole responsibility of taking care of a drunk Hotaru.While Hotaru is having the time of her life, Buchou is anxiously waiting for her, all dressed up with Hotaru’s pride-shattering souvenir costume. Waking next to a guy makes Hotaru as excited as a little girl with a new-found toy. Hehehe.Silly girl! Good thing that she comes to her senses and realizes the folly of her actions. Seno-san, on the other hand, doesn’t mind whatsoever. And the two reports hurriedly to the office. There seems to be a problem with Sakuragi-san’s work though. And as her “Senpai”, Hotaru takes action. In the end, Hotaru saves the day. But! She’s still not off the hook. She has yet to face Buchou and the issue of her not going home. Seno-san, the ever uncaring dude, hands-in something that Hotaru left the other night: Her stockings! Hotaru is such a terrible liar. Hotaru: It may look like stockings but…This is actually a hat! It fit perfectly and it is a wonderful hat for summer! 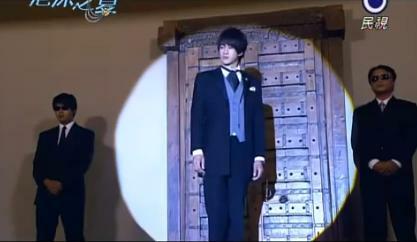 Hotaru’s shocked expression when Buchou proposed. Hotaru: I’m very happy that I tried my best during these past three years. I was very happy. Happy and I just wanted to share it with you. Trying my best is thanks to you. I thought that because you are waiting for me, so… Thank you very much for these past three years. Your existence supported me through these three years. Thank you very much. From now on I will try to do my best alone. Buchou: With that 47 yen? Hotaru: I have to rent an apartment. Buchou: With that 47 yen?! Hotaru: As a fabulous OL (office lady), from now on, I will become a fabulous woman both in career and personal life. Buchou: Impossible! Until you die it’s impossible. Hotaru: Shut up. I’m making my commitment, please don’t bother me. 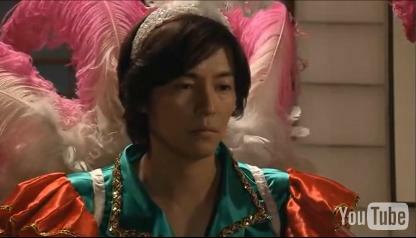 Buchou: What do you mean by “Fabulous OL?” Does a “Fabulous OL” wears stockings on her head and insists that it’s a hat? Also, does a “Fabulous OL” forget her used stocking in the night out like an idiot? And in the company elevator, does a “Fabulous OL mess around dokyunko, dokyunko meow meow. Hotaru: Buchou are you feeling jealous? Buchou: And not only that you were told that “You look alike dokyunko”. Hotaru: You were jealous, weren’t you? Buchou: Arahiyama’s dokyunko is actually the dokyunko that is in Arashiyama Aquarium. Buchou: Dokyunko is a seal (Sea Lion). Buchou: From performance with the seals. Of course, if you don’t come back to Japan for three years, you’ll be left out in the seal information. Hotaru: Then Seno-san spent the night with a woman who looks like a seal? Buchou: It must be a water accident for him. Well, as for you, you must have been really happy to wake up next to a guy. Hotaru: Why do you know that? Buchou: I told you. I’m different from those times. During these 3 year you weren’t here, I was thinking about you deeply. And now that you’re back, let’s get married. From now on, the two of us are a married couple. You’ll always be my woman. And then, Hotaru faints. Emotional overload!!! Episode 7 starts-off with a minor rewind. Luo Xi fully expresses the depth of his insecurity. As it shows, he’s totally convinced that life will continue to play its cruel joke on him. Bit by bit his wall of confidence is starting to crumble into pieces. His fear of being forsaken is gradually creeping in. Afterall, what is an abandoned orphan compared to the rich and powerful young master Ou Chen, right? This earns a rather angry flare-up from Ou Chen. He is infuriated that not only did Xi Meng dared to hide something from him but now, he also questions his decisions. Xi Meng defends that though he hasn’t reported everything to Ou Chen, he is still as loyal as he was from the very beginning. When Ou Chen accusingly asks him why he forced Luo Xi to take the lead role behind his back, Xi Meng reasons that it’s purely a business feat. Just then, the receptionist calls informing that Xia Mo wants to discuss something with Ou Chen. To prove Xi Meng wrong, Ou Chen refuses to meet up with her. But Xia Mo is adamant to have the talk and says that she’ll wait for him no matter what. It seems like Ou Chen just can’t ignore Xia Mo though. He decides to take a look at her. But his mind is still cluttered with what Xi Meng had said, and so he turns around and walks away. He settles to take a “refreshing” drive. And as fate would have decide, Old Jiang (Xia Mo’s personal driver from long ago) happens to see Ou Chen and follows him. Old Jiang is quite excited for the unexpected reunion, but Ou Chen has troubles in remembering him. Not knowing that Ou Chen lost his memory, Old Jiang notices the green headscarf tied on Ou Chen’s wrist and asks then why he’s wearing Xia Mo’s ribbon. Ou Chen can only stare at him blankly. Knowing that Old Jiang has some answers to his long forgotten past, Ou Chen decides to have a chat with him. Old Jiang relays that he was the chauffeur hired by Ou Chen to drive Xia Mo everyday until she was in high school. 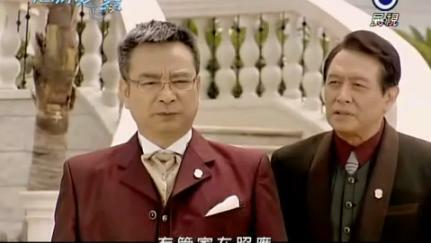 Ou Chen then inquires why Old Jiang said that the green silk ribbon is Yin Xia Mo’s. Good thing that Old Jiang is willing to supply the missing pieces of the puzzle. And the flow of flashbacks begin. First, the background story behind the green lace. I had a detailed recap about it already. Then the thing about the yacht. We learn that the yacht is actually named “Blue Bubble”. We’ll have to wait for the next episodes to know more about that. Then, the memory about the talent show that Xia Mo and Xiao Cheng participated in. This is so sweet of Ou Chen. He was, in fact, there during the whole show. He acted so cool and uncaring, but the truth was he supported Xia Mo all the way. 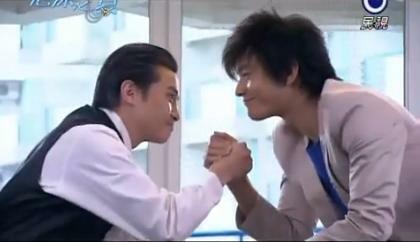 He saw that Luo Xi took Xia Mo’s hand and thus, his jealousy was set to greater heights. And lastly, the time when Ou Chen drove Luo Xi away and when Xia Mo demanded that he send Luo Xi abroad instead. And that ends Old Jiang’s recollection of the past. After that, Ou Chen suddenly disappeared and stopped caring about Xia Mo. Old Jiang, however, figures that it’s understandable since Ou Chen’s family is having a problem of their own during those times. When Ou Chen demands to know the details, Old Jiang could only provide vague explanations. Ou Chen is annoyed and leaves without saying a word. All the while, Xia Mo is still waiting for Ou Chen until who knows when. Just when she’s about to go home, Ou Chen drives in. After buying the meds and some milk, Xia Mo rushes back to the car and offers it to Ou Chen. But he, ruthlessly rejects the concern and affection. Sometimes Ou Chen is just being impossibly arrogant. He angrily spouts that he’s not the same Ou Chen before who is easily fooled by her fake kindness and orders Xia Mo to get out of the car. Dude, it’s raining! Without second thoughts, Xia Mo prepares to leave. But Ou Chen immediately stops her and grabs her hand. Ou Chen! Make up your freakin’ mind! Ou Chen: Does he mean that much to you? Did you come to beg me because of him? Why don’t you say something? Why don’t you beg me?! The rain has stopped. Hehe. Everytime they talk about serious stuff, it’s either outside or inside the car. This time around, it’s outside. Calm and composed, Xia Mo confronts Ou Chen for his not-so subtle ways of disposing Luo Xi. She advises that he should have been more secretive just like when he arranged that she win the New Comer Award and the video leak that exposes An Hui Ni’s slapping exploits. She knows that Ou Chen made it to a point the she’ll come and beg for him. She pleas that Ou Chen directs his revenge on her and leave Luo Xi out of it. But Ou Chen blames Luo Xi all the same. Xia Mo receives the dreaded news. Her parents died on the car accident and his little brother, Xiao Cheng, is on the verge of life and death. Old Jiang then comforts Xia Mo. She, on the other hand, still appears as unruffled as ever and boldly declares that if Xiao Cheng dies, then she’ll just have to die with him. When Ou Chen learns of the unfortunate accident, he immediately went to Xia Mo. Little does he know that he’s about to experience a heartbreaking mishap himself. He faces Xia Mo’s uncontainable wrath. Needless to say, she blames him for planning the first step of ruining her life. Ou Chen reasons that it’s all a misunderstanding and never did he imagine that his decision would lead to such tragic ends. But Xia Mo simply doesn’t care anymore. Ou Chen: In your mind, am I such a despicable person? Xia Mo: Do you really want to know what I think? There is something that I wanted to tell you a long time ago. You dare want to hear it? I have never….loved you. Ouch! It pains my heart. Stop! Please stop! But the ice queen just won’t be barred. She cruelly spits that the only reason she’s with him is for the sake of her parents and Xiao Cheng. With them gone, then she has nothing to worry about and can finally break up with him. She’s even quite happy that he forced Luo Xi away. When the time comes, in the future, she’ll certainly be with Luo Xi. Ou Chen fiercely refuses to believe those nonsensical things. He even sincerely apologizes for his misdeeds. However, Xia Mo mercilessly throws his humility aside. Xia Mo: Apologize? Those two words. You think it can solve this tragedy? Ou Chen: So what can I do to satisfy you? Xia Mo: There’s nothing you can do. I will never forgive you. I will never like you again. I will forget all my memories which are related to you. Like a defeated soldier, Ou Chen can only lower himself more. The arrogant and overbearing young master chooses to kneel and beg. But despite this, Xia Mo cruelly refuses to give in. Ou Chen: What can I do to make you forgive me? I beg you. No matter what price I need to pay. Don’t leave me. I beg you. Don’t go. Xia Mo: You want me to forgive you? Unless… you die. And Xia Mo kills the remaining hope for Ou Chen. Merciless! And the skies seems to take pity on Ou Chen, as it rains heavily- matching his grief and misery. Ou Chen’s gastric pains are getting worst. He already finds it difficult to stand straight. Xia Mo gets the medicine for him to take. But Ou Chen still wants answers. 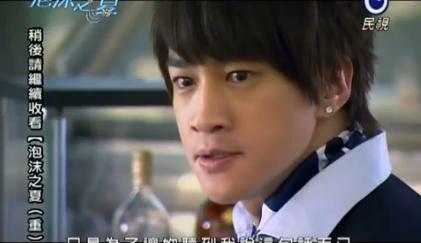 He is determined to know if Xia Mo cruelly break up with him just because of Luo Xi. Xia Mo find his attitude absurd though. Afterall these years, Ou Chen can’t fully understand the true meaning behind everything. They are simply from two different worlds. For him, she’s just a toy who will accompany him in his loneliness. Ou Chen retorts that she’s as lonely as he is. Xia Mo agrees that she is indeed lonely and thus, she tries her best to hold her happiness at any price, even clinging to him like a vine. Unfortunately, he destroys her happiness with his own bare hands. And with that she thought, she must solely depend upon her own strength to protect her happiness. She understands that Ou Chen didn’t plan the car accident, but back then she’s in too much pain that she poured all her anger out on him. Ou Chen and me see some light. Only anger?! Could it be that Xia Mo said those cruel things just to rouse Ou Chen. But Xia Mo can’t seem to answer the damn question. Ou Chen continues to speak out his concerns. He knew right from the start that she attached herself with him only because of the security and privileges he can give. And so, he trapped her in his world, hoping that if Xia Mo could only see or hear him, then she would truly fall in love with him. Ou Chen: Xia Mo. Have you ever loved me before? Xia Mo: No. I have never loved you. *Damn, she’s mean*. The harshness of truth threatens to break Ou Chen’s remaining physical strength. He feels the pain much more. When Xia Mo, tries to call for help, Ou Chen grabs the phone and throws it away. He still believes that Xia Mo chooses Luo Xi over him, so he dares Xia Mo to completely beg or else he will kill Luo Xi’s career. And so, Xia Mo definitely has to concede. Ou Chen: If I tell you as long as you are willing to come back to me, only then will I let him go. Will you agree? Xia Mo: It’s impossible. We can no longer go back. And that drains Ou Chen’s residual consciousness. Xia Mo brings him to the hospital and there she gets another huge tick off from Xi Meng. Meanwhile, Luo Xi tries to contact Xia Mo but can’t get through. Buddy, she’s with Ou Chen! Don’t bother! Back to the hospital, Xi Meng recalls another flashback. His mind filled with the Old Master’s words. Now, we see a different side to the story. Looks like being desperately in love runs in the family as Yin Xia (Ou Chen’s mom) also shares the same devastating fate. She tries to abandon the wealthy life, take baby Ou Chen and find the man she love. In the end, she deliberately took her own life for the love she cannot have. Old Master then uses his power to erase any trace of the appalling incident. He practically created a new life for Ou Chen. He hires a couple who would pretend to be Ou Chen’s mom and dad. Ou Chen regains consciousness. It seems that he doesn’t know about her real mom. When Xi Meng announces that the corporation is willing to back him up in changing Luo Xi, Ou Chen just then admits that he did make a wrong a decision and agrees to proceed with the filming. The next day, the news spreads that the issue about changing Luo Xi as the main lead in “Battle Flags” is just a groundless rumour. But then again Xia Mo is a bit reluctant of the sudden change of breeze. Xia Mo: “The weather is clear today. But we don’t know when it’ll start to be stormy again”. Luo Xi receives the report but is playing hard to get. He agrees to continue the filming on one condition: Ou Chen should apologize in public. Press Conference: Surprisingly, Ou Chen agrees to Luo Xi’s condition. Well, we know the real deal, right? And when the media people requested to take a picture of them shaking hands, it resulted to the most awkward handshake in history. Trust me, they look as if they’re about to exchange punches. Next scene: Xiao Cheng having his regular check-up. Argg…I can almost see another heart-rending scene. His health condition seems to be far more worst than he expected. The doctor advises that he bring her sister along with him for the next check-up and they’ll discuss the matter. Unexpectedly, Ou Chen visits the set of Battle Flags. 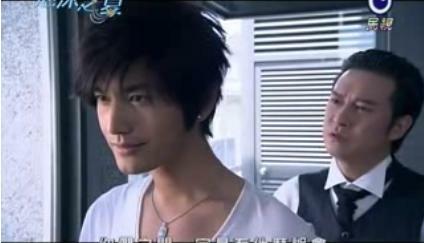 Luo Xi then tries to annoy the young master, who BTW is too cool to be annoyed. Ou Chen spurts that he’s just there to make sure Luo Xi’s doing fine. But Luo Xi is not yet done provoking. Luo Xi: It must have been hard on you at the press conference yesterday. That must be the first time you apologized in public. Ou Chen: You seem to have a little bit of misunderstanding. To “Battle Flags” you are insignificant. To Ou Corporation, you are even more insignificant. To me, you are just also an insignificant part. Luo Xi: Really? But even the insignificant little me is able to make young master lose his dignity? To bow his noble head in public, I’m truly honored. Ou Chen can only smile in Luo Xi’s somehow overconfident demeanor. He clarifies that first and foremost, he didn’t did those things for Luo Xi. It’s just that somebody (Xia Mo) begged him to let Luo Xi go. Luo Xi, however, strongly rejects the notion. Now, it’s Ou Chen’s time to goad. Ou Chen happily retorts that he doesn’t care if Luo Xi believes him or not, just as long as ‘she’ agreed to the bargain. Anyhow, Luo Xi assures that Ou Chen will not succeed in breaking his relationship with Xia Mo. Too late! Too late! Ou Chen successfully planted the seed of mistrust! Luo Xi: Ou Chen, everybody has the right to choose. Even though she used to be with you, but now the one she likes is me. She… is mine. You can’t steal her away. As Ou Chen walks away, Luo Xi can only watch his retreating back filled with the mixture of anger and pain. Lan ViThanks for the detailed recap! The Liar and His Lover Drama Series?! Taiwanese Drama Recaps, Reviews, and Ratings.